This module allows you to display your fan pages and channels of most popular social networks like facebook, twitter, google plus, linkedin, pinterest and youtube. This module helps merchants to boost their campaign on the most popular socials networks like facebook, twitter, google plus, linkedin, youtube and pinterest. 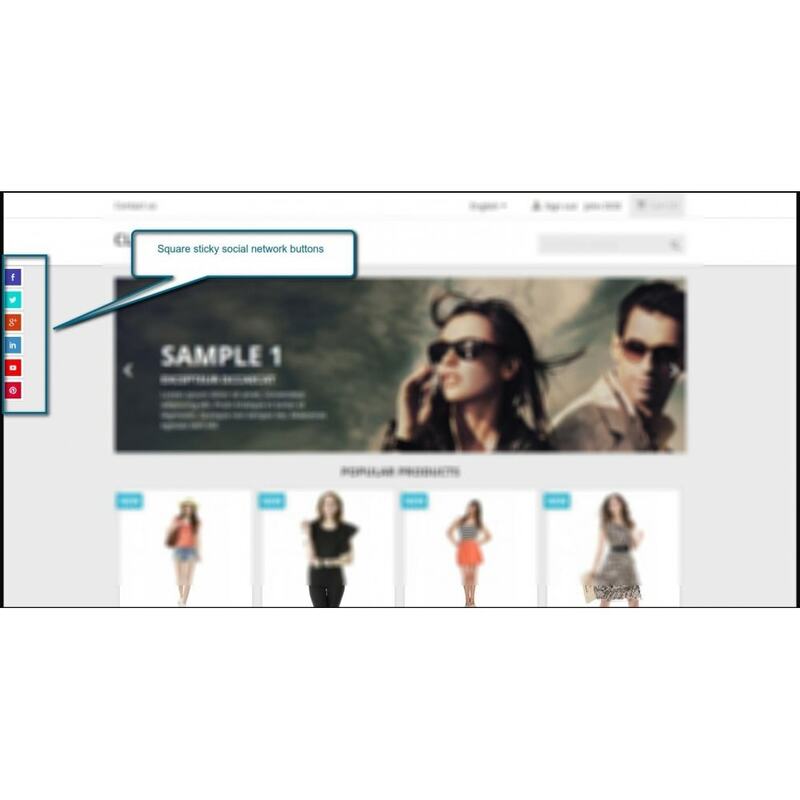 This modules increases your store visibility on popular social networks. Merchants can get feedback from customers via popular social networks. 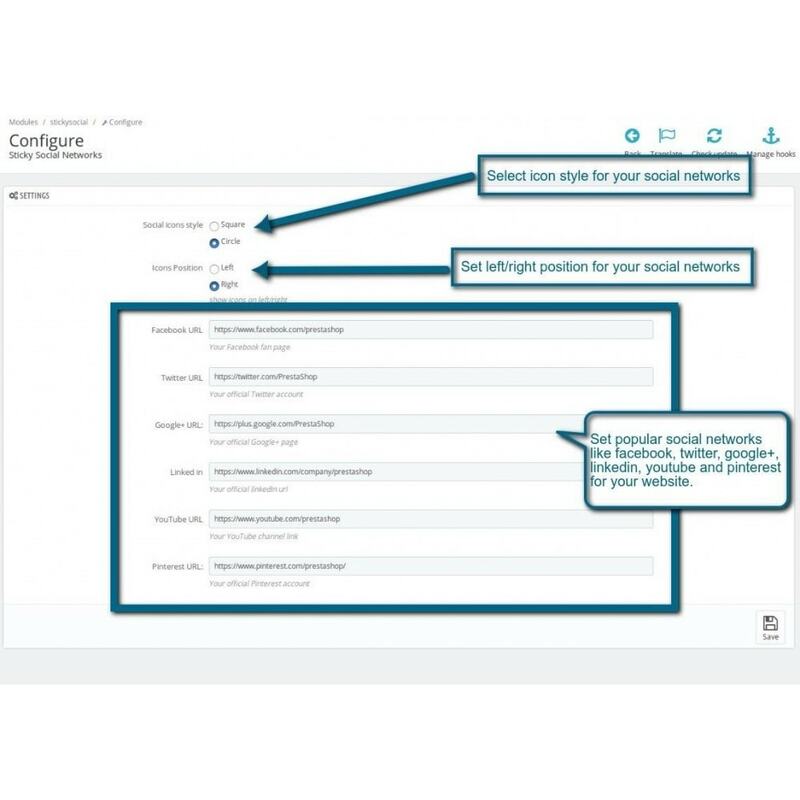 Allows you to set sticky social networks. Set circular or square social icons. Set left/right position for your sticky social networks. Set your social network fan pages. Most popular social networks like facebook, twitter, google plus, youtube, linkedin, interest. Customers will see updates via popular social networks. Customers can give feedback using pan pages on social networks. Customers can likes, tweet or subscribe to your fan pages and channels. The module will be located in Prestashop Social Networks tab. Search and find module by name “Sticky Social Networks”.